This video describes how to fold "Will you be my Valentine?" designed by Stacy Mannes. It's a standing heart that holds a smaller heart. 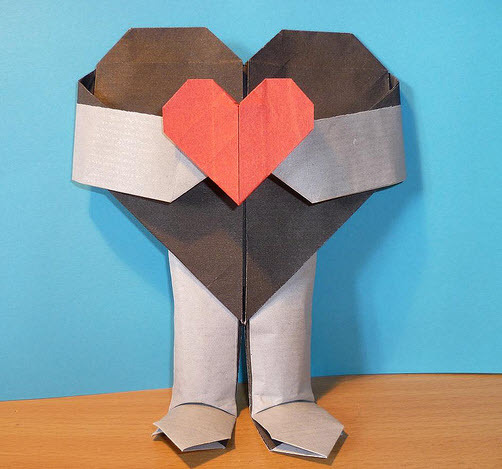 You will need two sheets of paper to fold this model, one for the standing heart, and one for the small heart. Of course, you can also give your standing heart something else to hold in its hands! Stacy Mannes kindly gave me permission to make this video accessible to you. Страница сгенерирована за 0.029981136322021 секунд!